The Institute for Policy Integrity produces three types of publications: policy briefs, reports, and academic articles/working papers. 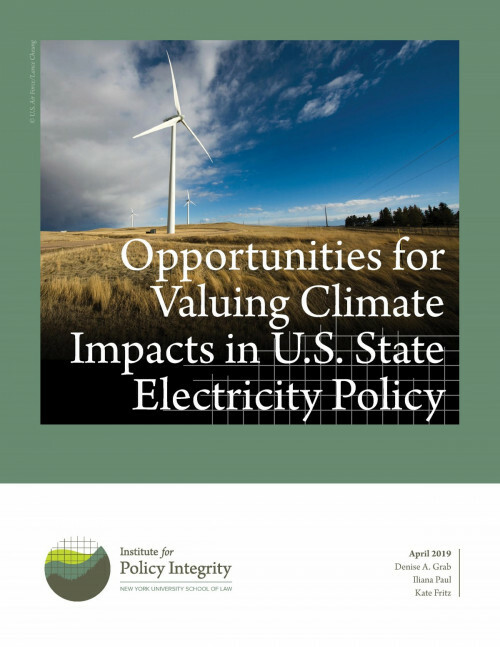 Our policy briefs provide incisive and focused analysis on timely policy topics. Our reports develop deeper research on our core issues. Our academic articles and working papers offer original scholarly research and analysis from established experts as well as fresh new voices. This article, forthcoming in the Minnesota Law Review, identifies a new trend in aggressive regulatory rollbacks and argues that it is likely to become an enduring feature of American politics. Rather than stick to the typical deregulatory playbook, President Trump has made aggressive use of other instruments that had not previously played a significant role. 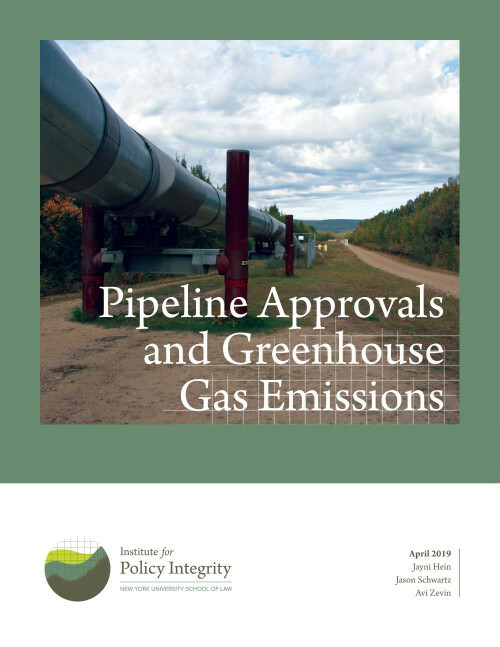 Through these strategies, the Trump administration was able to reach a far greater proportion of regulations finalized during Obama’s presidency than would have been possible under prior practices. In the current climate, aggressive rollback strategies will lead to an important reconceptualization of the Executive Branch, in which future one-term presidents are unlikely to see a significant portion of their regulatory output on important matters survive and the incentives that presidents face in fashioning their regulatory policies will be significantly different. The changing incentives will affect a broad set of decisions, from transition planning for an incoming administration to the timing of regulatory actions relative to a president’s reelection campaign. 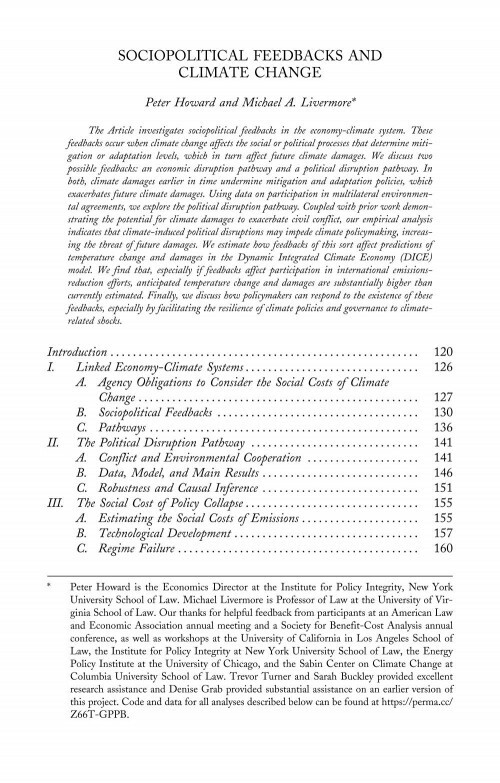 This article, published in the Harvard Environmental Law Review, investigates sociopolitical feedbacks in the economy-climate system. These feedbacks occur when climate change affects the social or political processes that determine mitigation or adaptation levels, which in turn affect future climate damages. Two possible feedbacks are an economic disruption pathway and a political disruption pathway. In both, climate damages earlier in time undermine mitigation and adaptation policies, which exacerbates future climate damages. Using data on participation in multilateral environmental agreements, the article explores the political disruption pathway. 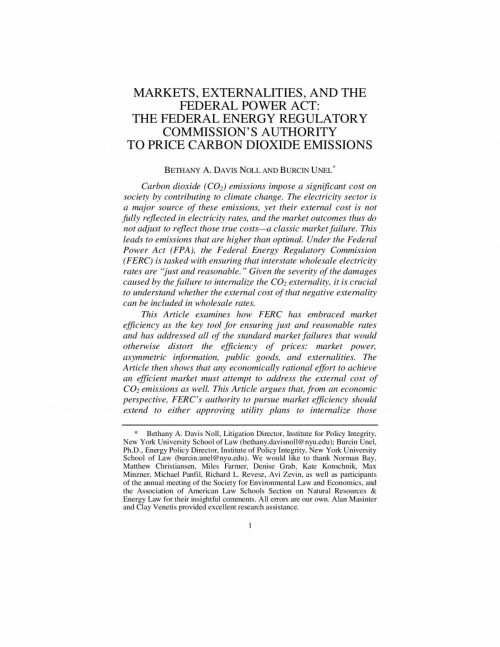 This article, published in the New York University Environmental Law Journal, shows how the Federal Energy Regulatory Commission (FERC) must attempt to address the external cost of carbon dioxide (CO2) emissions to achieve an efficient electricity market. CO2 emissions impose a significant cost on society by contributing to climate change. The electricity sector is a major source of these emissions, yet their external cost is not fully reflected in electricity rates, and the market outcomes thus do not adjust to reflect those true costs—a classic market failure. This leads to emissions that are higher than optimal.